Researchers at the Salk Institute have described for the first time the molecular structure of CRISPR-Cas13d, an enzyme for emerging RNA-editing technology. They were able to visualize the enzyme with cryo-electron microscopy (cryo-EM) as reported in an article (“Structural Basis for the RNA-Guided Ribonuclease Activity of CRISPR-Cas13d”) in Cell. “CRISPR-Cas endonucleases directed against foreign nucleic acids mediate prokaryotic adaptive immunity and have been tailored for broad genetic engineering applications. Type VI-D CRISPR systems contain the smallest known family of single effector Cas enzymes, and their signature Cas13d ribonuclease employs guide RNAs to cleave matching target RNAs. To understand the molecular basis for Cas13d function and explain its compact molecular architecture, we resolved cryoelectron microscopy structures of Cas13d-guide RNA binary complex and Cas13d-guide-target RNA ternary complex to 3.4 and 3.3 Å resolution, respectively,” write the investigators. 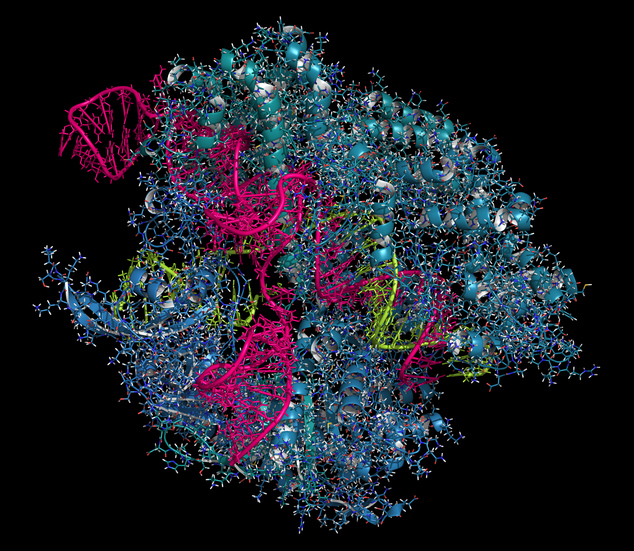 In the CRISPR-Cas9 system, Cas9 cuts DNA. Having editing tools for RNA, however, would allow scientists to modify a gene's activity without making a permanent—and potentially dangerous—change to the gene itself, according to the researchers. Earlier this year, Dr. Konermann and Helmsley-Salk Fellow Patrick Hsu, Ph.D., published another paper in Cell discovering the family of enzymes called CRISPR-Cas13d and reporting that this alternate CRISPR system was effective in recognizing and cutting RNA. The team also showed this tool could be used to correct a disease-causing protein imbalance in cells from a person with dementia.